This compilation begins by presenting the assertion that indeterminism does not imply free will, and because the considerations about an autonomous mind sending orders to the body is against neuroscience or evolutionary theories about human beings. The quantum theory of measurement can be interpreted without the intervention of human minds, but other fields of science cannot contemplate the mentalist scenario. A fatalistic or materialist view, which denies the possibility of a free will, makes much more sense in scientific terms. 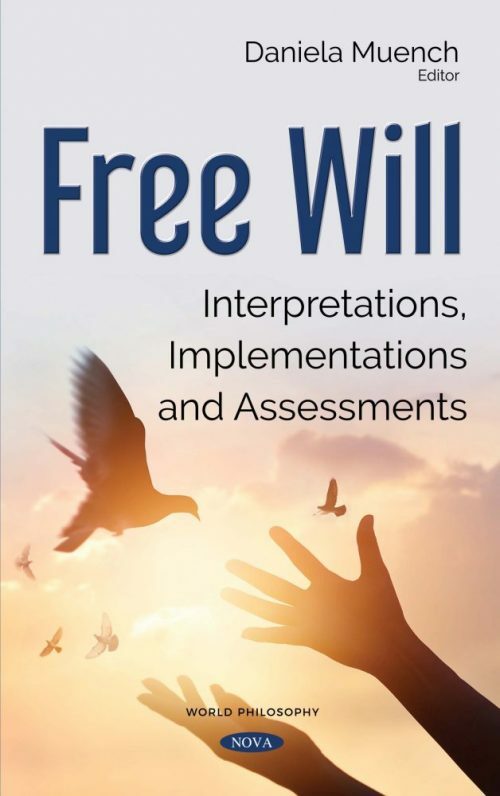 The authors address the issue of free in the context of how able we are to develop and use the free-will capacity we do have. Impulse patterns underlying conscious processes are not isolated from the rest of the brain. Thus, impulses occurring during consciousness must have consequences. The impulse patterns of conscious reasoning and creative synthesis must have the capacity to engage other circuitry that drives decision-making and implements behavior. This may occur in real time, and a significant degree of free will occurs even if those patterns may have programmed circuitry to create predetermined, stereotypical predilections for future behavior which can be vetoed or modified in real time. This book determines that people high in the trait of psychological reactance may resist such attempts to alter their free will beliefs. Belief in free will is associated with many desirable outcomes and may be the result of natural selection.